The career of a lifeguard is not only bound to having fun in sun, sand and surf and getting paid but it takes more responsibility and diverse range of opportunities. They have to save lives on every place where swimming and water activities are open from private to public associations, clubs, hotels to open beaches and rivers. You can have a splendid career in this field by learning water safety concepts, CPR/AED, first aid procedures and rescue techniques. The training and certification if taken from recognized institutes not only polish your knowledge and education level but also add to your career accomplishments. The lifeguards can offer their services to different water parks, pools, lakes, rivers and beaches at handsome salary packages. But the basic level starts from career at any swimming pool as they give you initial classes and training on seasonal basis. This summer training offers you a wide range of real life experiences for water safety and rescue. Every location may demand different responsibilities and tasks to perform but the basic aim of every lifeguard is to save and rescue public lives. They can extend their career to more advanced search and rescue by working with manning boats and scuba units. A lifeguard has to be confident in his knowledge and expertise and ready to show them at the time of hiring. 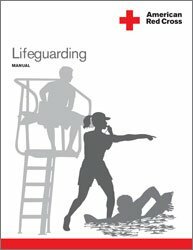 The employers prefer those individuals who not only act as life savers but can also teach safe swimming techniques. They can search their jobs through internet and newspapers ads which can help them to get the job of their own choice and salary. With the expansion of tourism and recreation throughout the world, the demand for lifeguards has increased where the companies are not only ready to provide them handsome salary but also accommodation and training facilities. Many of them are also offered sick leaves, health insurance, paid vacations and recreation facilities. The career opportunities are countless and ever changing for a life of a lifeguard. For becoming swimming instructors, they require both qualification and experience. They need to have refresher courses for keeping updated with latest rescue techniques and equipment. Those who have excelled their expertise in field of pool management and operations can become a successful pool operator. They have to meet the state requirements of qualification and licensing regarding understanding and application of proper pool sanitation and management. The job of lifeguard demands patience and physical strength with excellent swimming skills to protect and save all those swimmers and beachgoers. They must have enough stamina to spend many hours in scorching heat and tough working conditions. Their rest periods are short but responsibility is great. The seasonal opportunities are therefore more useful for inexperienced lifeguards with limited earning but those planning to excel into their field must go for outdoor work opportunities worldwide. The wages and salary packages are also affected by geographical locations in various parts of the world. The private clubs and hotels pay more salary than summer pools and beaches.